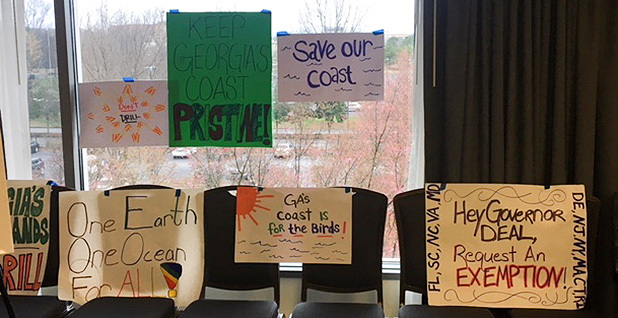 ATLANTA — The usual suspects of industry supporters and environmental advocates showed up at an information session for the Interior Department's draft five-year plan for offshore energy development yesterday. The timing and location couldn't have been more perfect for supporters and opponents of drilling off Georgia's coast. The meeting was held at a hotel across from Atlanta's Hartsfield-Jackson Atlanta International Airport, a Southeastern economic engine where ticket prices rise and fall with the cost of airline fuel. The information session was also the day before the Georgia Water Coalition's annual "Capital Conservation Day," where a wide range of environmental groups will meet and talk with legislators. There are two bipartisan House and Senate resolutions opposing offshore drilling, but neither has passed its assigned committee. Jennette Gayer with Environment Georgia said it's still important to get those measures through the legislative session. But she said it's more pressing to get a formal position from Gov. Nathan Deal (R). After Interior Secretary Ryan Zinke granted an exemption for Florida's coasts, other states asked for the same. Governors along the Atlantic coast have taken that position, but Georgia is the only one that has not. "It's crazy that Georgia is the only place where our governor has not come out and opposed drilling off of the coast," Gayer said. "I expect him to stand up for our coast." Georgia's governor and some lawmakers and members of the congressional delegation have raised concerns about drilling off the Peach State's coast now that Florida has been granted an exemption. The Port of Savannah serves as a key economic engine for the state and elsewhere, but the city and other coastal communities are vulnerable to sea-level rise and other environmental changes. "The governor has concerns in regards to opening up Georgia's pristine coastline and will convey them to our congressional delegation," spokeswoman Jen Talaber Ryan said in an earlier email to E&E News. 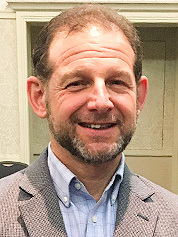 The South Atlantic is unique in that there's a lower resource assessment in the area, said Mike Celata, a regional director for the Bureau of Ocean Energy Management. What's important to know is that there's a "double risk" to the area, he said. "In the Gulf of Mexico, we have proven petroleum; we know that oil and gas exists," Celata explained. "In the Atlantic, we are looking at prospective plays." The amount of information is key when doing a resource assessment, Celata said. BOEM has a lot of information from the Gulf in the form of seismic testing and wells, for example. In the Atlantic, there are roughly 51 wells. The seismic data are much older, however, he said. "It's a riskier, less-certain number when you get into the Atlantic," he said. It's for that reason that Hunter Hopkins, executive director of the Georgia Petroleum Council, said the state should be able to at least look to see what's out there. "It's been 30-plus, almost 40, years since anybody has surveyed off of the coast and looked for oil, natural gas deposits," Hopkins said. He likened the old surveys to X-rays, but with changes in technology, the new ones look like an MRI, he said. "That might show there is an abundance, or that might show that there is not a single bit of it," he said. He and other supporters talked up jobs, economic development and energy independence that would come with offshore drilling. Being able to drill successfully could turn Georgia into a fuel-production state, with the royalties flowing back into the state budget. Georgia's families, farmers, manufacturers and small businesses will benefit from the access to viable and affordable energy, supporters argued. "America is experiencing an energy renaissance. ... What's going on today is looking out for the future," said Kevin Doyle, with the Consumer Energy Alliance-Florida. Alice Keyes, vice president of coastal conservation with One Hundred Miles, isn't hearing any of it. Keyes lives on Georgia's coast. A Gulf Coast native, she said she knows firsthand how oil rigs can change an area. "It completely transforms a coast," she said. Georgia's coast is the most western coastline on the Atlantic Seaboard. This puts the state at the center of what's known as the Georgia Bight, a distinguishable tidal ecosystem. All of the water that comes in gets funneled down to the state's coast and is a reason why Georgia has so much marshland. But Keyes said that should there be any type of spill from offshore drilling, any of that material would get pushed into the state's freshwater system and into the drinking water. The state's rich seafood industry also is at risk. "We have a lot to lose by the proposal that the federal agencies have," Keyes said.